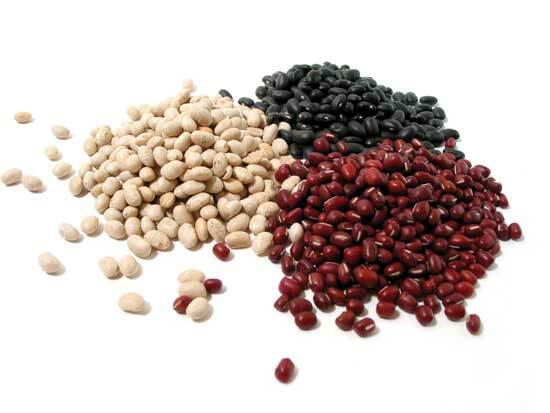 Bulk food stores like BJ’s, Coscto, and SAMS club are known for their great low prices on bulk items. What you may not know is that many of their prices are not actually that great of a deal. In this post I am going to teach you the Best Foods to Buy at Wholesale Clubs. If you want to see how some other common store prices, you can see my in depth report on Aldi vs. Walmart or Walmart vs. Target. In general, when shopping at wholesale clubs, you will want to stay away from boxed items like cereal. You also want to keep in mind that fresh produce can typically be a great deal, but you need to make sure that you can eat it before it goes bad. A 10 lb bag of oranges for $2.00 is not a great deal if you don’t eat oranges. If you are looking to join a discount club, there are a few ways that you can try them out for free. Bj's: If you want to shop at BJ's without a membership, you can download a free 60-day membership here. Costco: There is a trick for shopping at Costco without a membership – have a friend who has a membership buy you a Costco gift card. You can shop at Costco with a gift card without a Costco Membership! The amount on the gift card doesn't matter, it can be as little as you want, but as long as you have the gift card you can shop there. SAMS Club: To shop at SAMS Club without a membership, go directly to customer service and ask for a one day pass. You should be able to shop there, but will have to pay 10% above the SAMS Club prices. Getting a wholesale membership can save you a lot of money, but only if you are buying the right things. 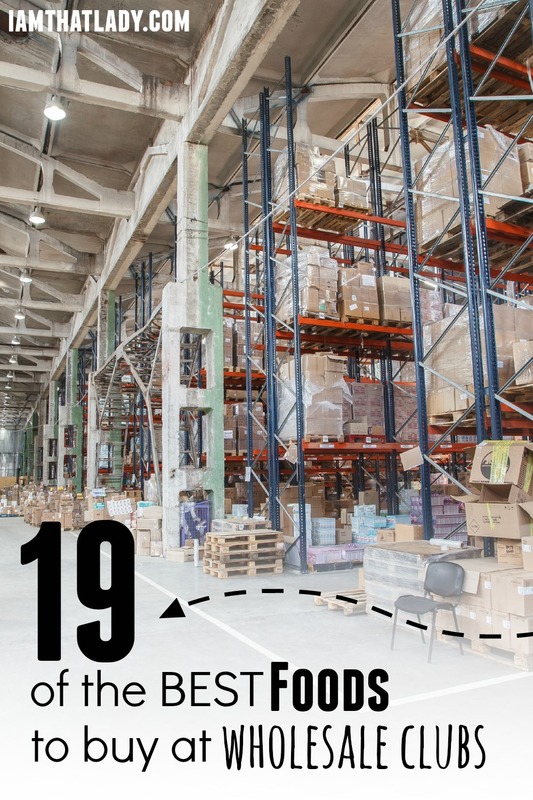 Here is a list of the 19 best foods to buy at wholesale clubs. 1.) Meat – Chicken, Beef, and Pork are usually a great deal. Make sure that you are staying away from the pre-marinated cuts because they tend to cost more money. TIP: Check out my huge list dump recipes where you can make delicious meals for little money! 2.) 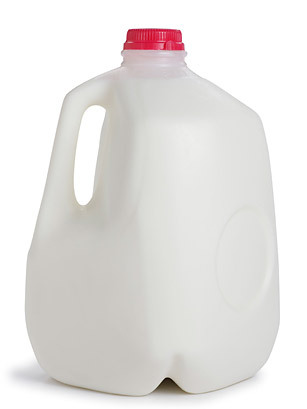 Milk – Their milk prices rival my local Aldi grocery store, definitely worth picking up! TIP: Did you know you can freeze milk? Here are some other foods you can freeze. 3.) Butter – A great deal, a must have for anyone who has a bulk store membership. 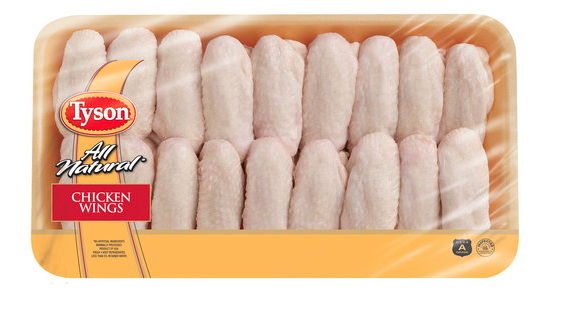 It is typically sold in packages of 4 boxes or more. Freeze the ones that you don't need for later. 4.) 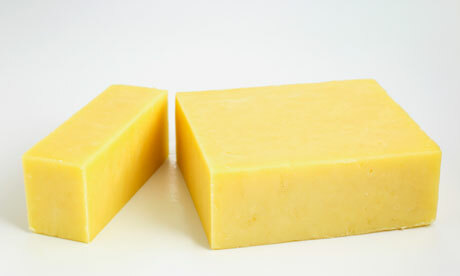 Cheese – Large blocks of cheddar cheese are always on my list when I go to a bulk store. Usually at least 30% off what I would pay in a grocery store. Tip: If you shred the cheese that you don't need, you can freeze it for up to 3 months. 5.) Canned Tomatoes – A FANTASTIC deal! One huge can of canned tomatoes and you can make two batches of my homemade spaghetti sauce recipe. 6.) Condiments – Ketchup, Hot Sauce, and Mustard are all great things to pick up at a bulk store as opposed to your grocery store, but be aware these items DO have expiration dates! 7.) Juice – I can usually find a great deal on juice at bulk stores. I can typically save around 30% off by buying a double pack of juice. 8.) 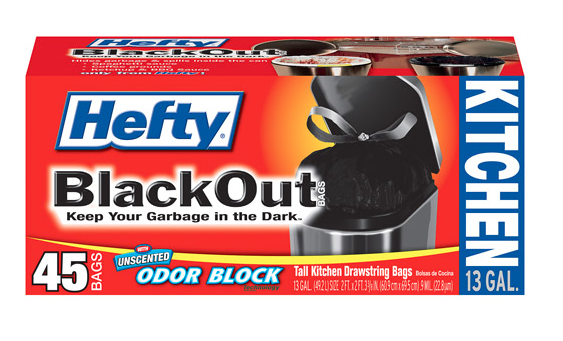 Garbage Bags – You can probably find garbage bags at a lower price, BUT you can get the good kind for so much less money! 9.) Rice – Buying Rice in bulk from a discount store can save you a lot of money. Make sure that you have the proper dry place to store your rice though. 10.) Baking supplies (Baking Soda, Sugar, etc) – You may have to buy them in bulk to get the best deal. Make sure that if you find a great deal on flour, you have a place to store it so it doesn’t go bad. 11.) Canned Fruit – Large cans of mandarin oranges or pineapple chunks can be a steal! I like to come home and ration them into canning jars. That makes it easier for me to manage. 12.) Dried or Canned Beans – Either way you want to purchase is fine. I prefer to buy canned beans, but I know many others who prefer dried beans. Whatever your preference is, you can still find a good deal. TIP: Here is my favorite black beans and rice recipe using up those beans. 13.) 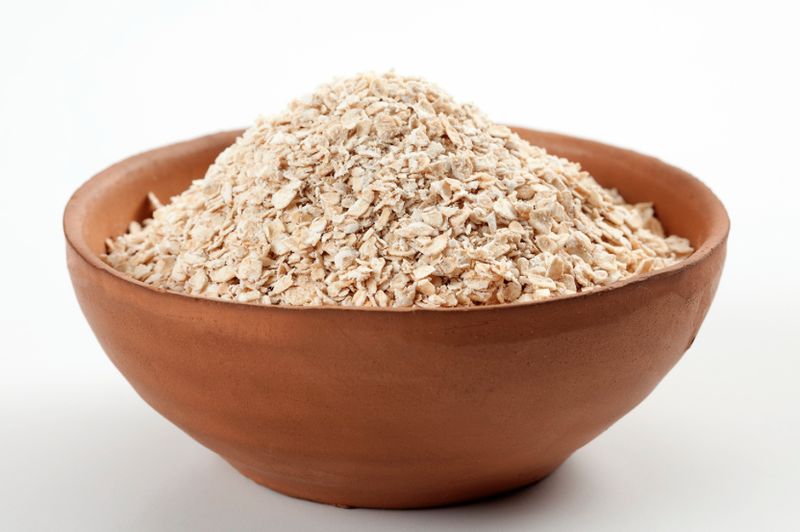 Oatmeal – Oatmeal has a long shelf life, so buying oatmeal in bulk is always a great idea. You can save a lot by buying it at a bulk store. 14.) Peanut Butter – Large jars of peanut butter can save you a lot of money – especially if you have kids who love PB&J sandwiches. 15.) 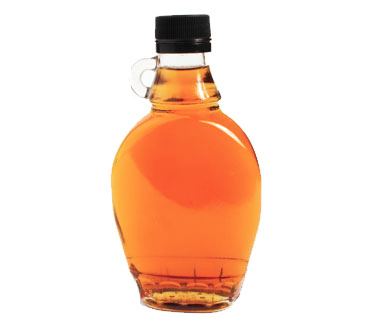 Syrup – Save almost 50% off syrup by buying it in bulk at these types of stores. 16.) 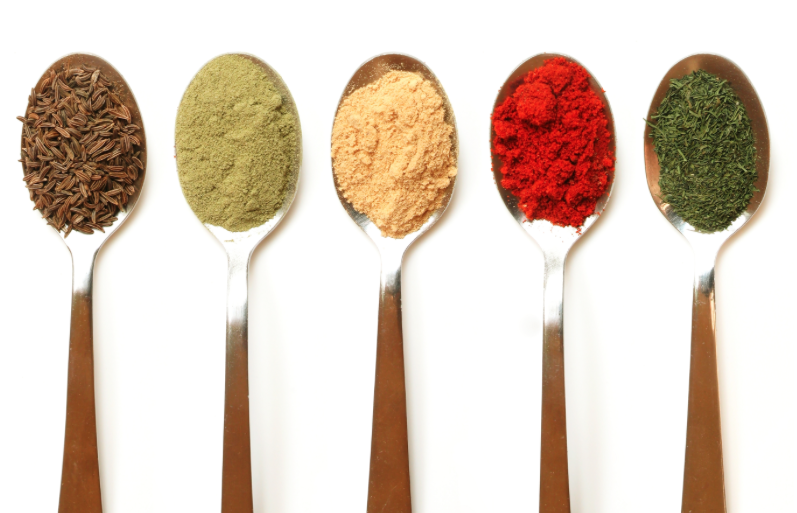 Spices – This one is probably a no-brainer, but bulk stores can offer you a crazy, good deal on spices! 17.) 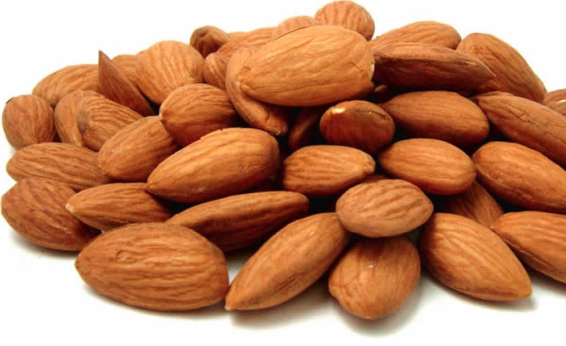 Nuts – Bags of whole peanuts, almonds, cashews, etc are some of the great deals to stock up on when in a discount store. 18.) Coffee – Coffee is a great find at bulk stores. You can typically get some very nice brands of coffee for the same price as cheap coffee in the grocery store. TIP: Roast your own coffee at home by learning how to roast coffee in a bread machine. 19.) Diapers – You have to be careful about this one because sometimes they are actually more per diaper. BJ’s typically has store coupons that are sent out with diaper coupons. TIP: You can actually learn how to get free diapers as well! Keep in mind the price per ounce of the product you are looking at purchasing. If the price per ounce is more at the wholesale club, skip it, or know that you are paying for convenience and ease. What did I forget? What is one thing that you always buy in bulk and find a good deal on? I always buy my allergy medications and pain meds the BJs brand is a great buy. I always buy my vitamins and supplements in bulk. Kirkland toilet paper at Costco is septic friendly!